Europe is fast becoming the most popular tourist destination in the world, especially with cheap flights available these days. More and more people are making the decision to jet off to to the farther corners of Europe, and countries that you would never imagine are becoming hugely popular. 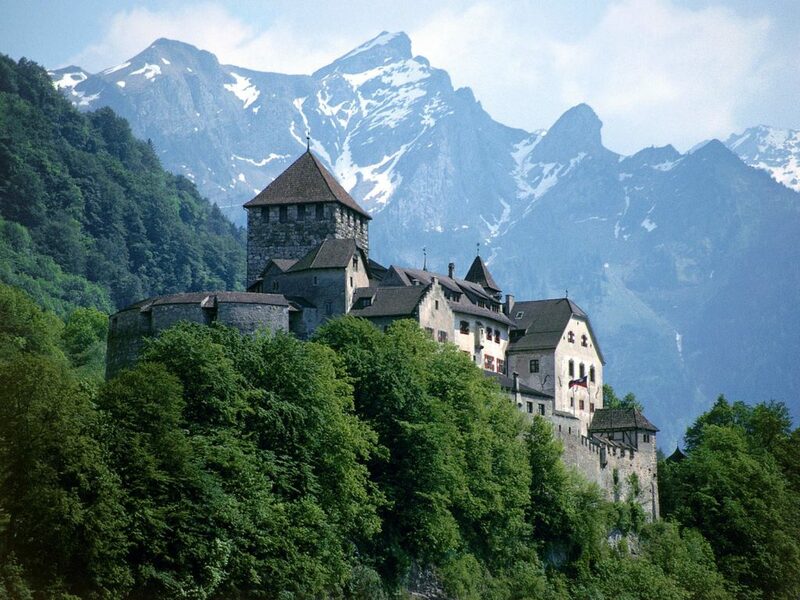 One of these countries is Liechtenstein, and this is a wonderful country it’s time you discovered right now! This stunning medieval principality sits in between Austria and Switzerland and is full of stunning towns and cities, great architectural gems, and plenty of tourist attractions as well. The country might be tiny, but it still has plenty to offer, and that should appeal to globetrotters. These are some of the most amazing things to see and do when you land in Liechtenstein. Vaduz is a stunning capital city, with plenty to offer for those looking to enjoy city life. But, that doesn’t mean it’s without beauty and elegance. In fact, Vaduz Castle is one of the major tourist attractions here, and it might just be one of the most stunning castles we’ve ever seen. Constructed in the 12th Century, and resting atop a hill, the castle overlooks the city like a magical guardian. Unfortunately, the royal family still lives there, so it’s not open to the public. But admiring from afar and snapping some photos is definitely recommended. Fancy a bit of culture? Then head to Kunstmuseum, the most prominent museum of fine art and culture in Liechtenstein. It’s the perfect place to find some of the best contemporary artwork in the country, and find out a little more about the culture of the place. The striking design of the building shows the diverse architectural approaches found in the country, and there are so many incredible exhibits to enjoy as well. This is an absolute must before you go home – it’s always important to get a feel for the art of the place. For those who love to feel the wind in their hair and the sun on their shoulders, make sure you check out the gorgeous mountain trails. There are over 400km of exquisite hiking trails here, so you can stay fit and get some incredible views while you’re at it! Head to the mountain village of Malbun, and make sure you take the ski lift so you can find the best trail to walk along. This is an experience you could easily spend an entire day having, so be sure to set aside a few hours and really make the most of the great outdoors. How would you like to have a princely experience? Sound good? Okay, well, then you need to check out the Prince of Liechtenstein’s exquisite wine cellars, also known as the Hofkellerei. You’ll be able to taste several high-quality wines and learn about the process of winemaking, from grape to bottle. This stone cellar and banquet hall will make you feel as though you are stepping into a fantasy world like Game of Thrones. Wine lovers simply cannot pass this opportunity of getting drunk by royal appointment! Liechtenstein is definitely going to become your new favorite holiday destination. For such a small country, it has an awful lot to offer people and has a ton of awesome culture. We’ve just come up with a few of the wonderful things to see and do while you’re here – make sure you pack some more in as well while you’re at it! Which type of vacation should you take according to your personality?